As the kids get ready for Valentines Day by making their own valentines out of paper, Mindy continues to feel sad that little, frozen Pluto is so far out at the edge of the solar system. When Sydney shows Mindy a newly-downloaded, full-color image of Pluto as seen by the New Horizons spacecraft, Mindy is intrigued by Pluto's 'heart' of ice. Mindy once again feels that Pluto deserves our love, since it's no longer considered a planet, but is orbiting out there at the edge of our solar system, like a big frozen Valentine. She asks Sydney to bring her own little hand-made Valentine to Pluto on her behalf. 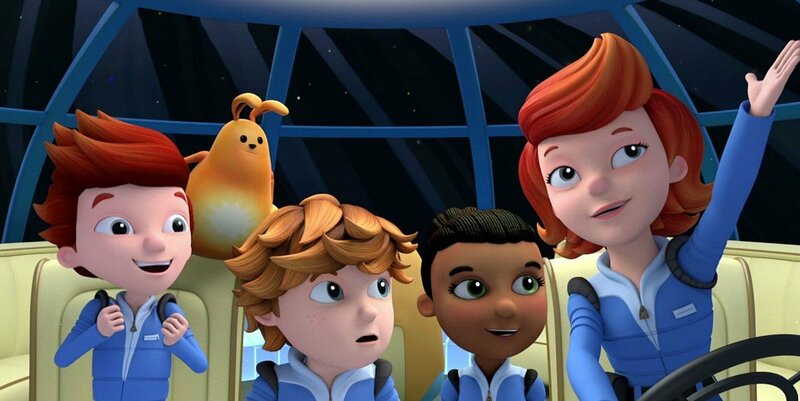 Sydney leads an expedition of the kids to Pluto to bring Mindy's Valentine, experience the frozen dwarf planet themselves, and bring back their report to Mindy. / Sydney is directing the kids in a backyard movie, making her version of a Commander Cressida story about the formation of a star. The other kids all have parts, but Sunspot has the lead - as the star! The kids' movie coincides with the celebration of a star being born near (a.k.a. 10 light years away from) Bortron 7!